KPETS will miss retired Maxwell, as will the children he visited. See Carol Johnston’s email below in reference to his retirement dud to health issues. 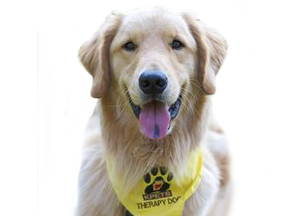 I am just writing to let you know that I am formally retiring Maxwell from being a KPETS therapy dog. We have enjoyed every moment of being part of KPETS and I cherished the opportunity to share the gift of Max with others. He is such a special little dog with a great big heart who will tilt his head and lift his ear to listen to whomever is talking or reading a “dog” story to him even though we have heard nearly every dog book ever written! Max and I will miss library time at the Manheim Twp. Public Library. I truly feel that KPETS has helped to shape him into this little gift from God by meeting the many people he did throughout the last seven years of our service. I found KPETS through a random online search when I was told that Max was NOT flyball sport material because he had too much of a mind of his own and that he would rather visit with everyone than be told how to chase a little yellow ball! The creation of KPETS has touched so many people in so many different ways and I thank you for allowing us to be a part of it.